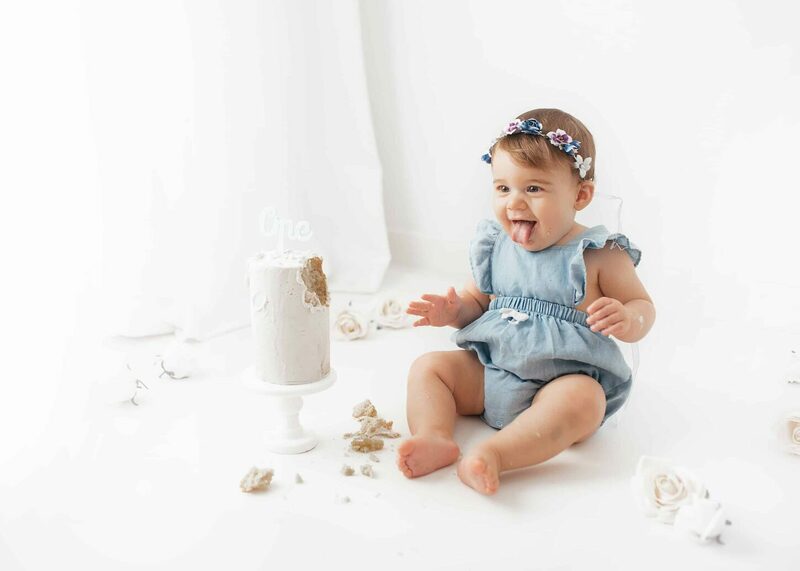 So what’s a cake smash all about? Cake smashes orginally became popular in the US, but the last few years the UK have adopted it and, in my opinion, completely topped them! Us Brits’ and our cake. 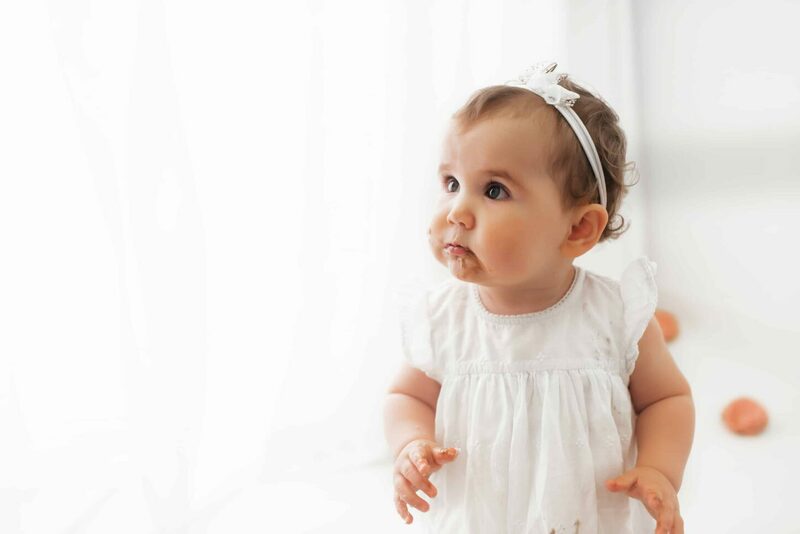 It’s a lot like baby sensory really, but rather than letting them loose with paints or play dough, they’re presented with a delicious birthday cake. Some get really into the spirit of the cake smash and get stuck in, while others gently prod the icing and delicately nibble. 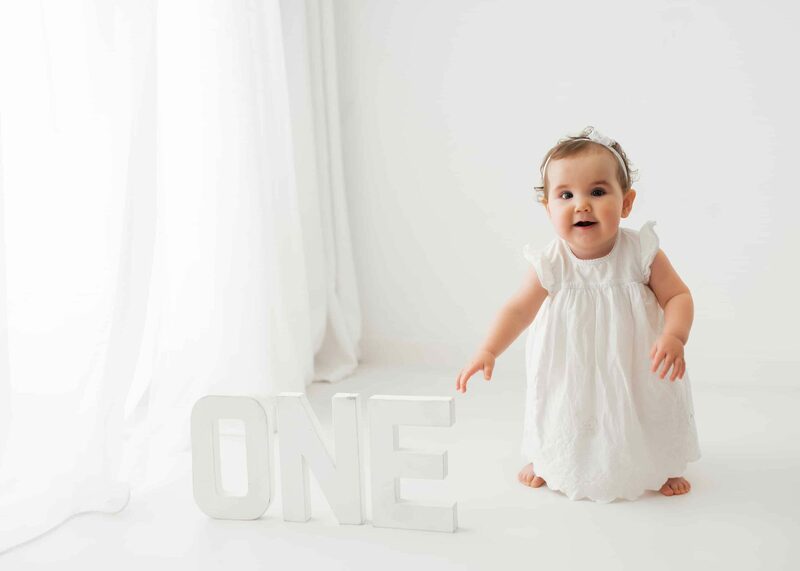 Either way you’ll love seeing their individual personalities shine through when they’re presented with the yummy birthday cake. 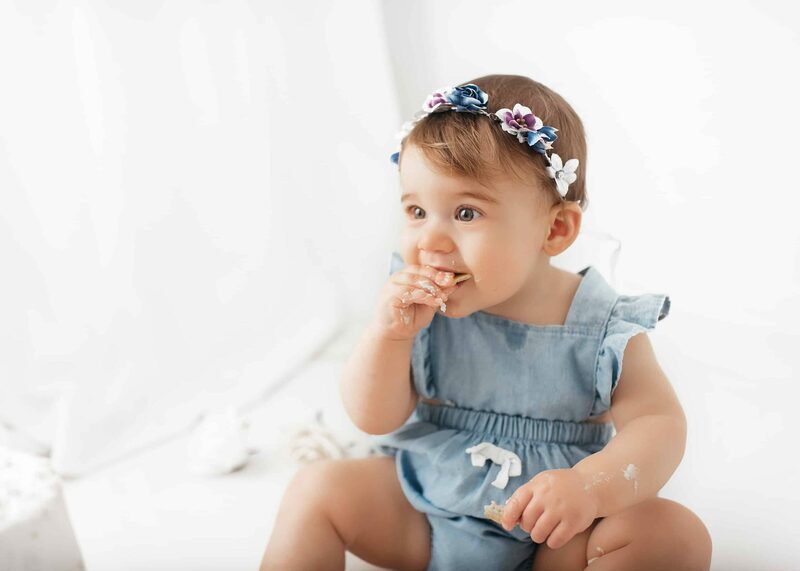 But at the end of the day, for me the core point of a cake smash session is for your baby to have a fantastic time. 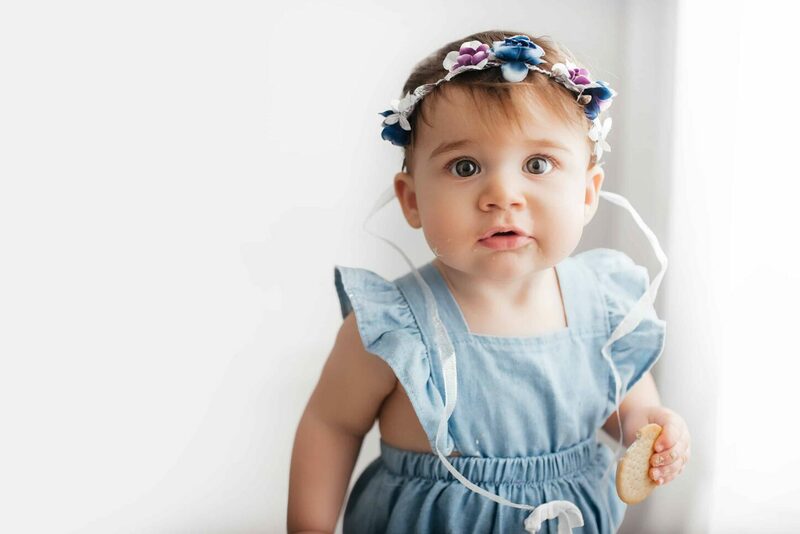 We’ll be singing, playing and generally just having lots of fun, plus I capture all of your babies smiles and excitement on camera so you have beautiful photos to treasure. We start by picking out a few simple outfits from the studio wardrobe, which is full of stunning designer and organic pieces. 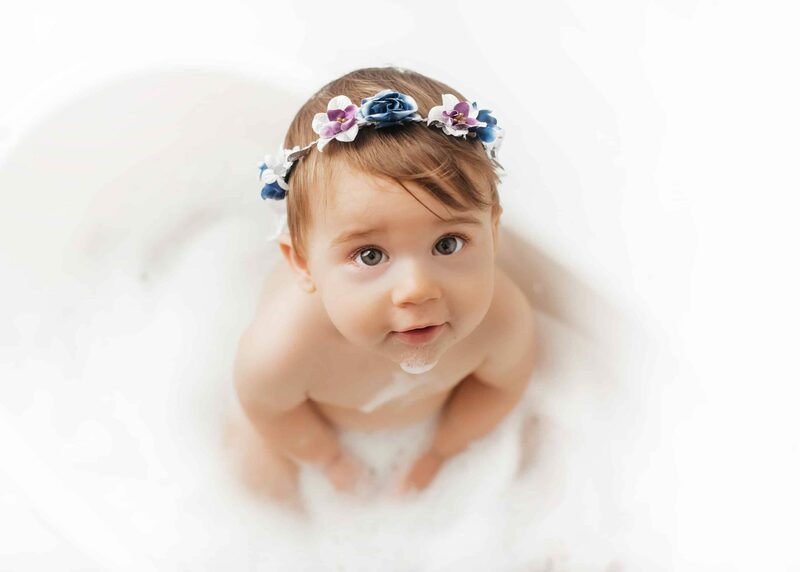 Then the playtime begins with singing, we play with bubbles and your baby can take their pick from the stunning Sarah & Bendrix children’s toys that I have in the studio. All the while I snap away, capturing every giggle and smile. Then out comes the cake, which is so much fun and very messy for everyone involved! The grand finale is a soak and a splash in my mini bath. Babies always love this bit and we get some fantastic photos while they splash about and have a whale of a time. Plus, a clean and happy baby for the journey home. Win win! Please see my PRICE LIST for the packages I offer. 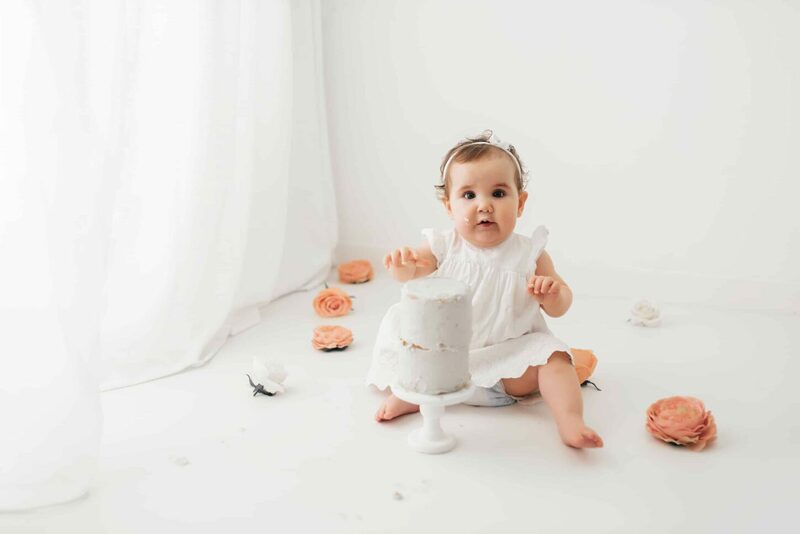 And CONTACT ME to book a cake smash!